I'm still alive and frozen to the bones. it becomes colder and colder. When I started delivering the papers at 3.30 a.m. - temperature: -20°C, when I came home at 6 a.m. it has become warmer - to -17°C. In my flat it feels like heaven!!! Thanks for all the wonderful Christmas cards and wishes - I'll come back to every single one of you. 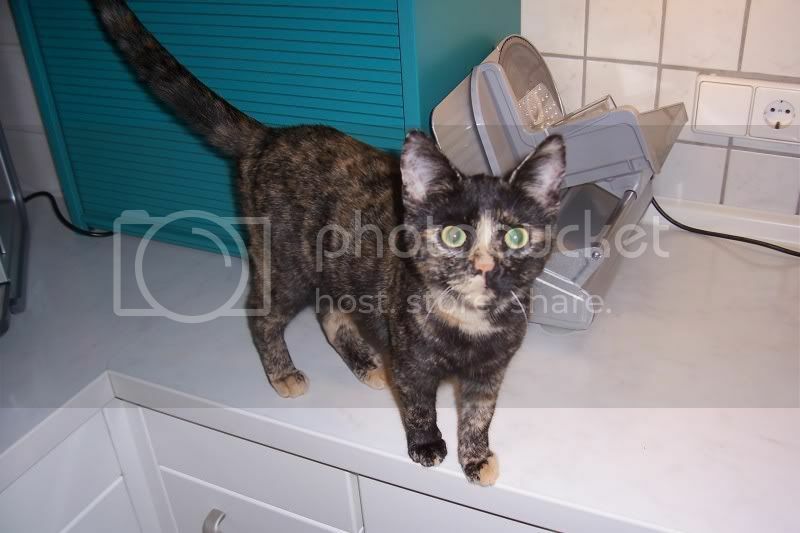 My cat Mousy (picture 1) is my oldest cat (she turned 13 years last week), the picture below shows Bibi my youngest one (she's now 6 months old). Bibi can't stand Mousy and it's a daily fight between them ... until yesterday. And - oh dear - yesterday they were sleeping together in my bed without hissing and spitting!